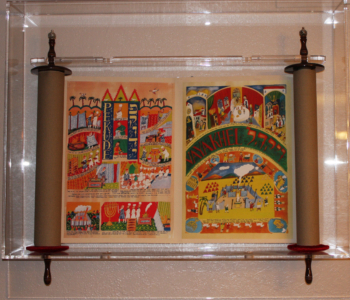 How Can the Illustrated Torah Help Our Organization Fundraise? The Illustrated Torah can be used as a one-time fundraiser related to a special project or honoring someone who has been transformative to your organization. Or it can be used as an on-going fundraiser where participants’ names can continually be added to a dedications book as your organization raises funds. Either way, The Illustrated Torah will motivate your donors to give, and by controlling the giving levels, you can help donors give more than they might otherwise be inclined to do.